It has been a few weeks since I’ve had a chance to blog. I’ve been in Minnesota visiting friends and relatives. During my trip, I visited a relative with Alzheimer’s disease. I had hoped to be able to interview the individual and gain some more family stories. Sadly, to say, I wasn’t able to do so. The individual’s memory was just not reliable and I’m afraid that the stories I was hoping to get just aren’t available any longer. Certainly, there were times she was lucid, like when she remembered going to her grandmother’s cabin on Walled Lake, MI and going to the amusement park there when she was a child. But, my heart broke when she asked who her oldest child was. Other memories confused individuals and places; even the name of her brother was lost in her memory. 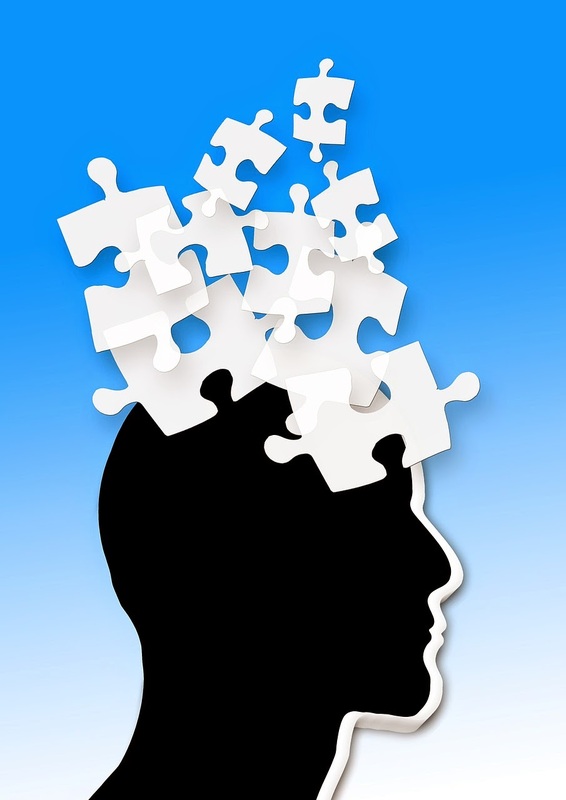 There is probably nothing that impedes our learning important genealogical information than Alzheimer’s and other forms of dementia. If you can support Alzheimer’s research please do so, our family histories depend upon it. For more information on how you can help, please see the Alzheimer’s Association (www.alz.org) or the Alzheimer’s Foundation of America (www.alzfdn.org). Dora Spalding Faulkner was the born on 3 August 1898 in Keene, Cheshire County, New Hampshire. She was the 4th child of Francis Child and Martha Barrett (Ripley) Faulkner. 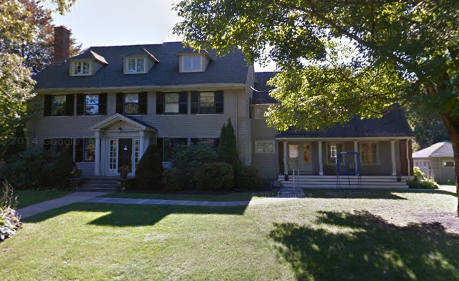 The 1900 Census finds one-year-old Dora living with her father, mother, two older brothers, and an older sister, Katherine in a beautiful home at 61 Summer Street, in Keene[i]. Her father was an attorney and her mother was keeping house. Her brothers, 17-year-old Phillip & 13-year-old Francis, as well as her eleven-year-old sister, Katherine, were all attending school. There is a gap of ten years between the birth of Katherine and of Dora, so I bet that Dora was a bit of a surprise. In 1903, when Dora was only four years old, her father died. We know the family stayed in Keene through the 1910 Census, which shows the widow Martha still living at 61 Summer Street with her four children plus Martha’s mother, Mary C Ripley, and two sisters, Mary and Harriett Ripley[ii]. The census also indicates that Martha only had four children, all of whom were still alive. We know that Martha, Katherine, and Dora returned from Europe aboard the SS Rotterdam, which departed Rotterdam, Holland, and arrived at Ellis Island, NY, on 18 May 1914. The manifest indicates they were still living on Summer Street. The 1920 Census finds Martha and Dora as lodgers at 138 Newbury St, Boston. It was in a lovely location about a block from Copley Square and a Trinity Church[iii]. Dora married Boston resident, George Siddons Mowbray on 4 November 1922, in Dora’s hometown of Keene[iv]. They would go on to have three children. Dora was somewhat conservative as is evidenced by her supporting the Mayor of Boston’s banning of Eugene O’Neill‘s Pulitzer Prize-winning play “Strange Interlude.”[v] Productions which may have been suitable in New York were not suitable in many other parts of the country, including Boston in 1929. One researcher suggests that Dora died on 17 November 1960, although I have been unable to confirm that. Confirm death date, death location, and burial location for Dora. [i] 1900 Census (FS), Family Search, Francis C Faulkner – Keene city, Ward 4-5, Cheshire, New Hampshire, United States – District: 36. https://familysearch.org/ark:/61903/1:1:M3YS-BF6. [ii] 1910 United States Federal Census, Ancestry.com, Year: 1910; Census Place: Keene Ward 4, Cheshire, New Hampshire; Roll: T624_860; Page: 2B; Enumeration District: 0040; FHL microfilm: 1374873. [iii] 1920 United States Federal Census (Online publication – Provo, UT, USA: Ancestry.com Operations Inc., 2010. Images reproduced by FamilySearch. Original data – Fourteenth Census of the United States, 1920. (NARA microfilm publication T625, 2076 rolls). Records of the Bureau of the Census, Reco), Year: 1920; Census Place: Boston Ward 8, Suffolk, Massachusetts; Roll: T625_742; Page: 5A; Enumeration District: 232; Image: 573. [iv] New Hampshire, Marriage Records, 1637-1947, Family Search, George Siddous Mowbray & Dora Spalding Faulkner. https://familysearch.org/ark:/61903/1:1:FLZC-ZV8. [v] Boston Herald (Boston, MA), Genealogy Bank, 1929-09-24 – Boston Herald (Boston, MA) – Page- 2 – Dora Mowbray. [vi] 1930 United States Federal Census, Ancestry.com, Database online. Year: 1930; Census Place: Wellesley, Norfolk, Massachusetts; Roll: ; Page: ; Enumeration District: ; Image:. [vii] Ancestry.com, 1940 United States Federal Census (Online publication – Provo, UT, USA: Ancestry.com Operations, Inc., 2012.Original data – United States of America, Bureau of the Census. Sixteenth Census of the United States, 1940. Washington, D.C.: National Archives and Records Administration, 1940. T627), Database online. Next Next post: Donna – A “Cabaret Girl” in Panama.